The price increased by 50 cents. 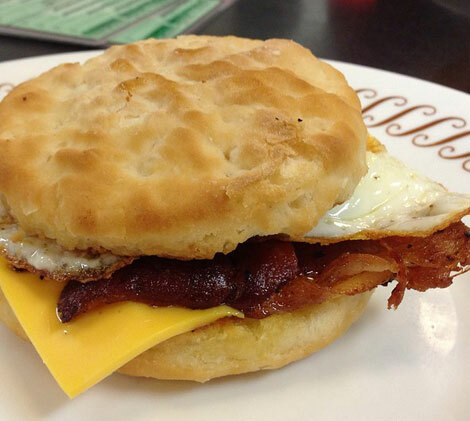 Waffle House can be a beacon of hope following your late-night, drunken escapades. That is, unless you’re hit with some unwarranted menu changes. Last Sunday, Waffle House customer Mitchell Feinberg was arrested for violently reacting to a price increase for his favorite menu item at a Georgia location. According to Munchies, the culprit was outraged that the usual price of his beloved sausage biscuit had been upped to $1.50, versus its original price of $1. Feinberg now faces felony charges for trespassing, disorderly conduct, and for the damages associated with his actions at Waffle House. The Smoking Gun notes that he is currently being held at the county jail at a $2,500 bond.